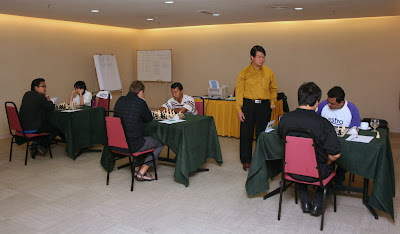 The GM Tournament has just completed the 8th Round, with two more rounds to go tomorrow and the following last day on Thursday 4th September 2008. Tournament leader is GM Sermek Drazen with 6 points. 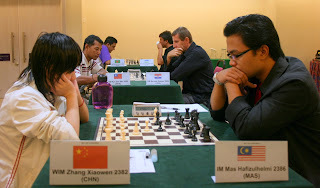 The others are GM Saidali Iuldachev and GM Ziaur Rahman sharing 5 points, followed by IM Mas Hafizulhelmi with 4 points, WIM Zhang Xiaowen with 3 points and FM Myo Zaw Min with 1 point.